Lawyers for the Maldives' former president Mohamed Nasheed said they filed a petition with the United Nations on Thursday arguing that his detention is illegal and a violation of international law. 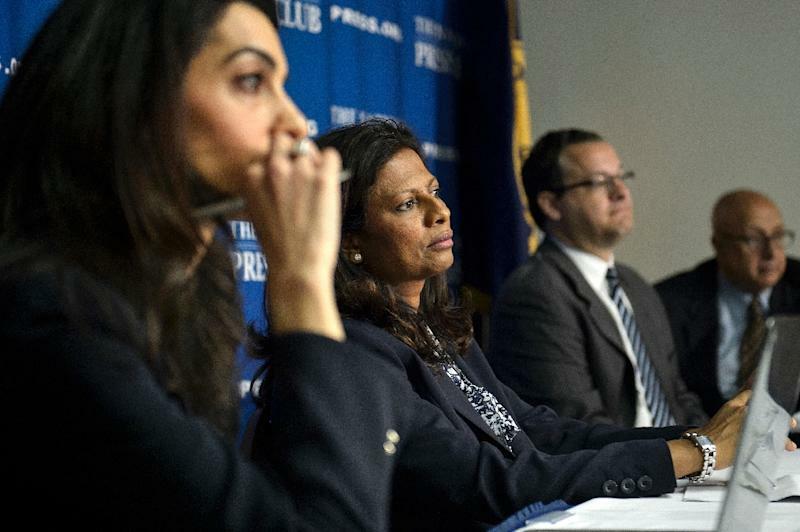 The appeal to the UN Working Group on Arbitrary Detention in Geneva came as Nasheed's wife Laila Ali visited Washington to lobby the White House, State Department and Congress to press for his release. "This is a very difficult time for me and my children, but today I also have hope," Ali said in Washington, alongside her legal team that includes London-based human rights lawyer Amal Clooney. 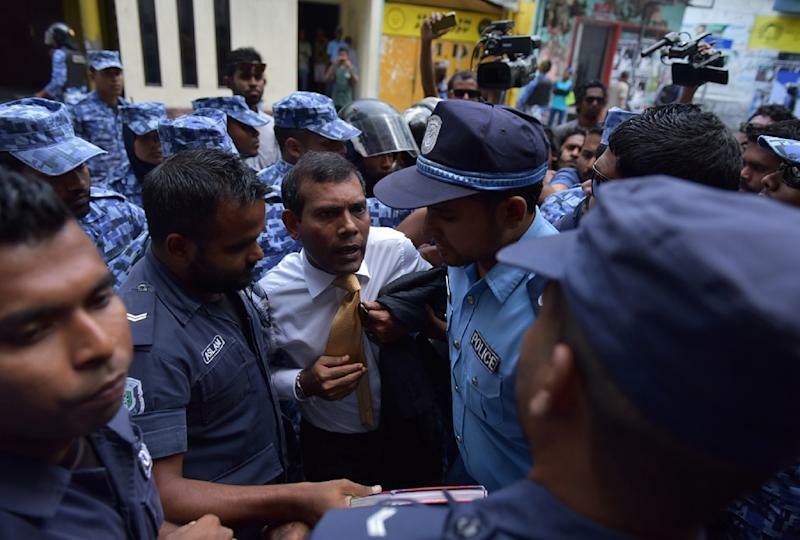 Nasheed was imprisoned for 13 years in March following a rushed trial which the United Nations says violated international standards as well as the Maldives' own laws and practices. President Abdulla Yameen has called on foreign governments to respect the conviction of Nasheed, the Maldives' first democratically elected president, who was toppled in 2012 after what he called a coup. Clooney, whose husband is Hollywood film star George Clooney, described Nasheed as a "political prisoner" who was "wrongly convicted" at the conclusion of "a sham trial." "He's still a popular figure," she told reporters at the National Press Club, with his arrest prompting ongoing demonstrations in the Maldives capital Male. Clooney said: "In our filing, we ask the UN to rule that president Nasheed's detention is arbitrary and illegal under international law." The filing, she said, argues that Nasheed's trial was "politically motivated," with no evidence presented, before a biased court where the accused was manhandled by police and denied access to lawyers. 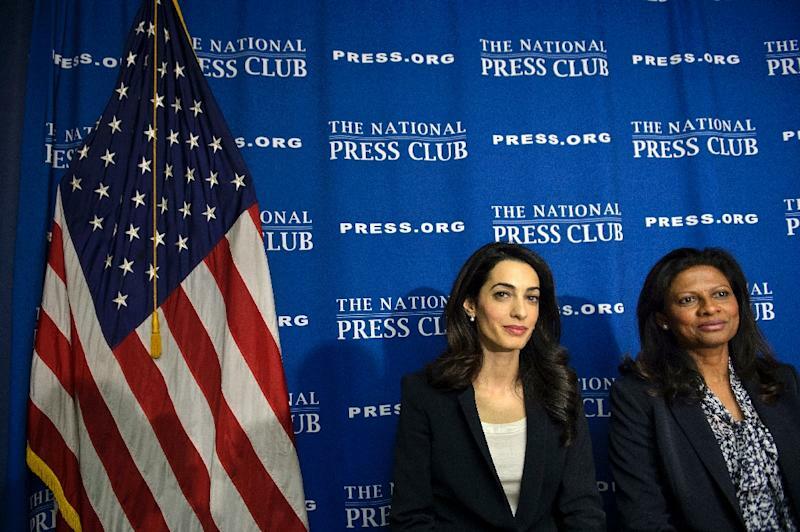 "We hope that as a result of today's filing that the UN will demand that the government of the Maldives take the only action that can address this injustice: Free president Nasheed," Clooney said. Last week Amnesty International warned of a "rapidly deteriorating" human rights situation in the Maldives that clashed with the archipelago's international image as a sun-kissed holiday destination. Its researcher for the Maldives, Abbas Faiz, said in New Delhi that harassment and attacks as well as denial of justice by the courts were increasingly common against anyone voicing dissent. Last month, the US State Department asked Yameen's government to ensure Nasheed's safety and well-being in custody, but stopped short of demanding his release or threatening sanctions. The European Union, a major source of tourism for the Maldives, meanwhile pressed its government to "act responsibly and uphold constitutional freedoms" and ensure a fair and transparent process if Nasheed appeals his conviction. Nasheed was internationally known for his concern about climate change, famously holding cabinet meetings underwater to underscore the danger of rising sea levels to his low-lying country. Mother-of-two Ali said that as first lady, she preferred to keep a low profile, but "I'm speaking out now because my husband has been silenced and is not in a position to speak for himself." It was a "sick joke," she said, for the government to claim that Nasheed is being treated in prison like a VIP. "I am worried, really worried about his health and safety, but my husband remains strong and resolute," said Ali, who last saw her husband for an hour on April 21. "He is determined to fight this injustice until his last breath." Besides Clooney, who has defended former Ukrainian prime minister Yulia Tymoshenko, Nasheed's legal team includes Jared Genser, who has represented Myanmar's Aung San Suu Kyi and Ben Emmerson, a judge on war crimes in Rwanda and the former Yugoslavia.